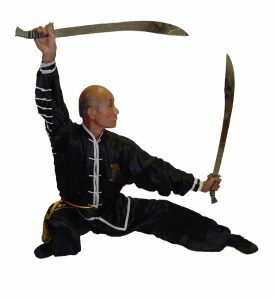 The Wah Lum Tam Tui Northern Praying Mantis Kung Fu System has a deep rooted history with an important lineage. In the early 1900’s an already accomplished martial artist by the name of Grandmaster Lee Kwan Shan entered into the Wah Lum Monastery of Ping To district in Shantung province. There he committed himself to an arduous ten year discipleship in the Praying Mantis system. When Grandmaster Lee left the temple he traveled widely, eventually settling down at Shajing village in Canton province. It was here that he combined his Praying Mantis style with his own family system, the Tam Tui (seeking leg) style. Lee Kwan Shan’s style was noted for his long fist forms, spear and pole techniques, and whirling broadsword skills. Before his death in 1948 Lee accepted his youngest and last disciple, Pui Chan. Master Chan Wan Ching was Master Pui Chan’s older Kung Fu brother, who continued to teach him the Wah Lum Sytem after Lee Kwan Shan died. 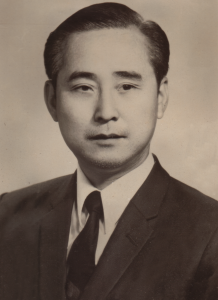 He was the first president of the Hong Kong Wah Lum Kung Fu Association. Mimi Chan began her martial arts training under her father, Grandmaster Chan Pui, at the age of 3. By the age of 5 she was already performing in local exhibitions. At 17, she won her first of many Grand Championship titles. Now retired from competition, Mimi is currently undefeated. At a young age Mimi began performing on stage at various exhibitions around the world. Along with live performances she entered the movie world when she was chosen as the model and martial arts video reference for Disney’s animated feature, Mulan. She briefly worked in Hollywood doing stunt work and making small television appearances. In 2011, she decided to return to the film world and take on the endeavor of making a documentary about her father’s life. She found joy doing work behind the camera and capturing the story of her father, a true artist and pioneer on film. She produced and directed her first documentary: Pui Chan: Kung Fu Pioneer. The film won 10 awards at film festivals around the country and screened throughout North America to sold out audiences. A University of Central Florida Graduate, Mimi is currently the Chief Instructor at the Wah Lum Temple. She continues to strive to spread the spirit of martial arts and the Wah Lum System. 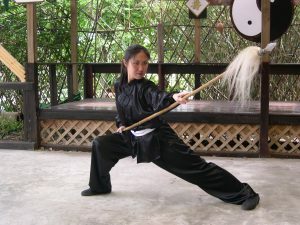 She follows the footsteps of her father by dedicating her life to teaching and training at the Wah Lum Kung Fu Temple.